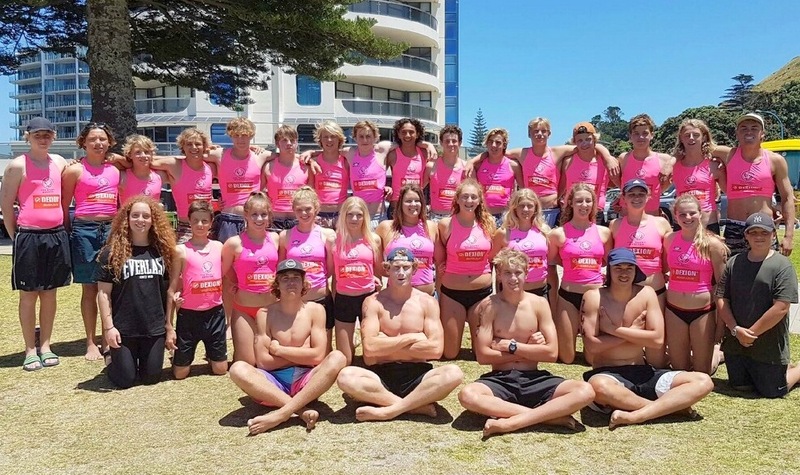 Close to 50 Red Beach athletes will tackle the Mount Monster event at Mt Maunganui on Saturday 16 December. It will be the club’s biggest turnout of competitors for this gruelling event since it was first staged in 2013. The 25km, four-stage endurance race will take in Mount Maunganui’s iconic coastline. The Monster starts and finishes on Mount Maunganui’s Main Beach with a 5km beach run, a spectacular swim leg which includes a jump off Moturiki Island’s blowhole, a 12km ski leg to Omanu and a 6km board paddle. Last year’s event saw a record field of 320 competitors and this is likely to be eclipsed at the Monster coming up.